Bruno, left, vies for the ball against Alejandro Hohberg in Sao Paulo's first leg clash with Cesar Vallejo. One of them, Sao Paulo of Brazil, will feel that they have a foot and a half in the next phase. 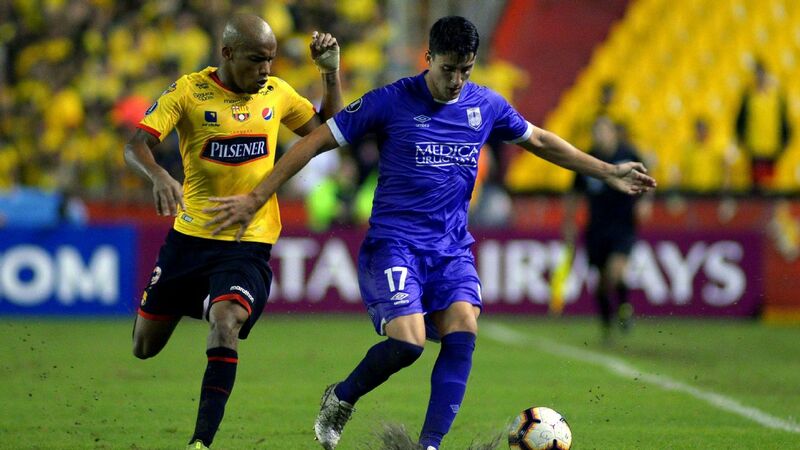 In last Wednesday's first leg, they drew 1-1 away to Cesar Vallejo of Peru. The result, however, does little justice to the run of play. Sao Paulo were far superior, had a goal wrongly disallowed, fell behind to a wonder-strike and created more than enough chances to have won a comfortable victory. In front of their own fans this Wednesday, Sao Paulo are overwhelming favourites. The other ex-champions, Racing of Argentina, are also sitting pretty -- despite a poor performance last week from their experienced goalkeeper Sebastian Saja. 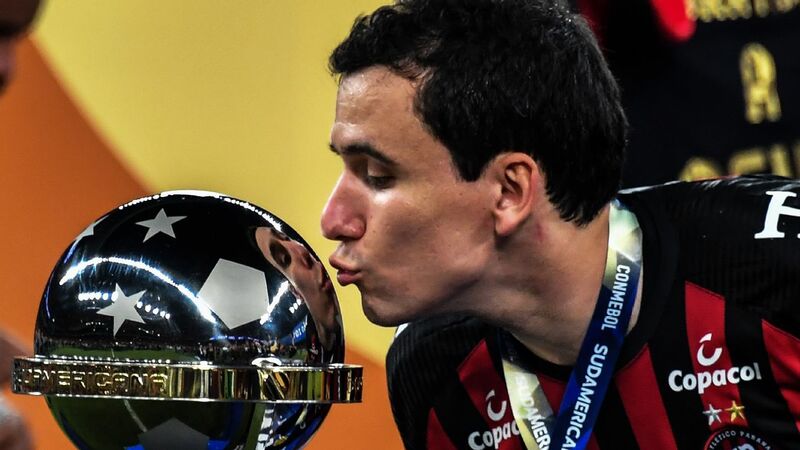 By rights, Saja should have suspended from the first leg, but in a gesture of centennial generosity, CONMEBOL handed out an amnesty. Justice was served when Saja blundered at a free kick to give opponents Puebla of Mexico an early lead. In the second half he conceded a penalty to put Puebla back in front. 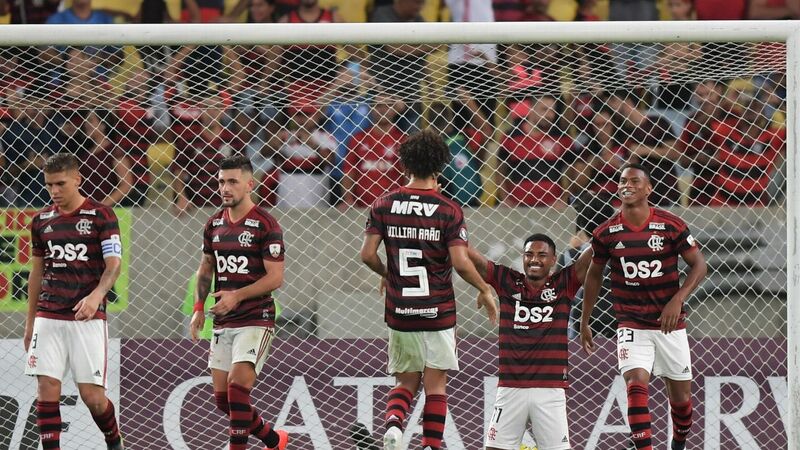 Racing, though, equalised for a second time -- and with the away goals rule in operation, on paper Racing's 2-2 draw is even better than Sao Paulo's 1-1. In Racing's case, though, the standard of the opposition looks higher, but the Argentines will still consider themselves to be the favourites. The Racing-Puebla tie is an intriguing case of former champion versus debutant. 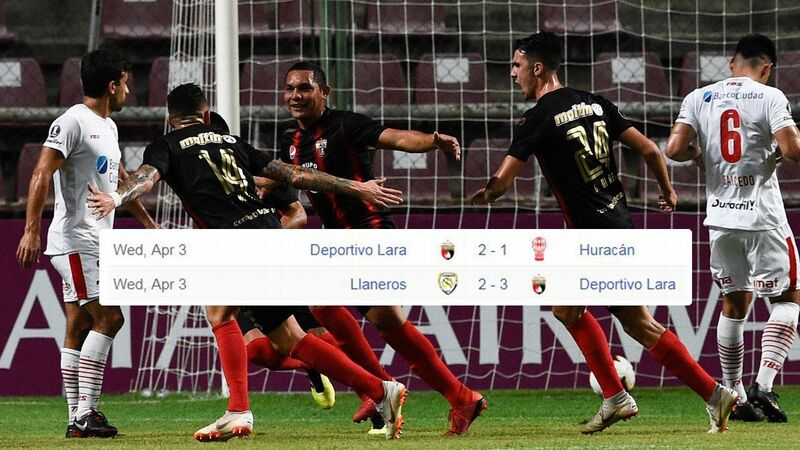 This year's competition features only two teams who are new to the Libertadores, and both of them are in the qualifying round. The presence of a new Mexican representative is not entirely surprising; the country's clubs have only been invited into the competition since 1998. More noteworthy, then, is a debutant from one of the other nations, those who have been taking part in the competition since it first started in 1960 (Ecuador and Peru have had representatives since 1961, and Venezuela since 64). And this year's first time travellers have a famous name -- the same as the reigning champions, Buenos Aires giants River Plate. Montevideo's River Plate are a much smaller outfit, one of the neighbourhood clubs so common in the Uruguayan capital. They have plenty of tradition -- they were formed to take part in the first Uruguayan professional championship back in 1932. But for most of the last 84 years River Plate have been out of the limelight, never winning the domestic title and yo-yoing between the first and second divisions. The last decade has been the best in the club's history, with an attractive spell under eccentric but interesting coach Juan Ramon Carrasco, and another under the promising Guillermo Almada, now in charge of Barcelona in Ecuador. 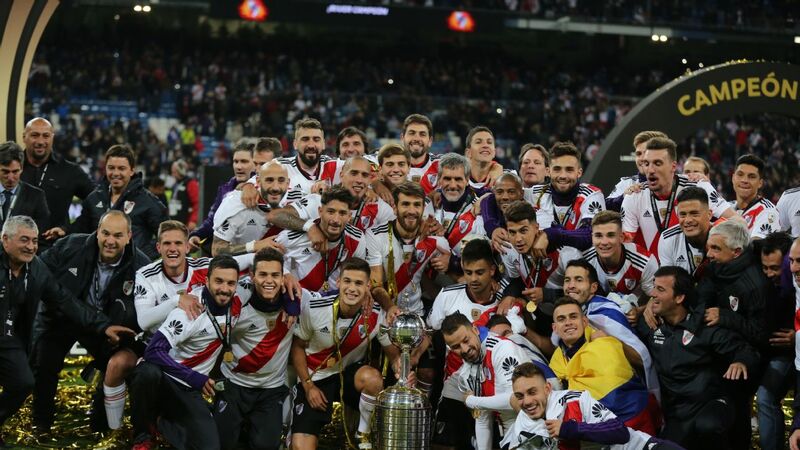 River Plate have acquired some useful experience in the Copa Sudamericana, the continent's Europa League equivalent, and it was clear last Tuesday that they were not out of the depth on their Libertadores debut at home to Universidad de Chile. 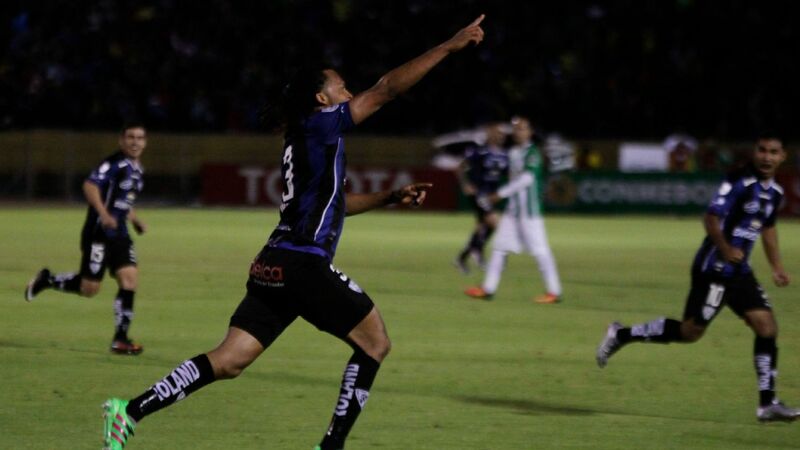 Racing striker Ricardo Noir celebrates his goal against Mexico's Puebla. 'At home' is here a relative term. River Plate's stadium only holds around 5,000, and so the match was played two hours down the road in Maldonado, alongside Punta del Este, Uruguay's big summer resort. With Carrasco back in charge, River imposed themselves on opponents who reached the Libertadores semifinals in 2010 and 2012, and were good value for their 2-0 first leg win. As befits a Carrasco side, the key players are up front -- especially Michael Santos, a quick, direct striker who has forced his way into Uruguay's World Cup qualification squad. Now 22, Santos nearly left River Plate in the January window, and the club are unlikely to be able to hold on to him for long. They do hope, though, to have a couple of seasons to enjoy 17 year old Nicolas Schiappacasse, a lithe, talented striker capable of attacking down either flank who set up the second goal against the Chileans. The pace of both of these players will be important in Tuesday's second leg. Universidad de Chile will have to chase the game and there should be opportunities on the counter attack. The game though, will surely be a test for River Plate's defensive unit, frequently not the strong suit of any Carrasco side. 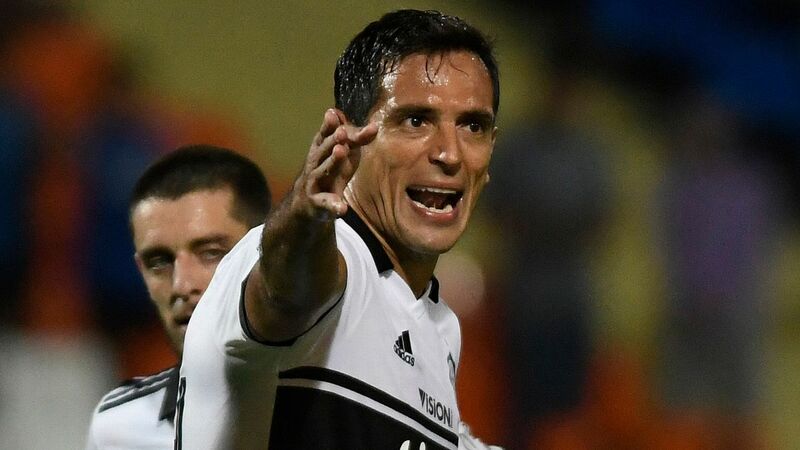 The Chileans are in stuttering early season form, but they are dangerous; their four league games in the domestic championship have ended in three draws -- and one crushing 8-1 win over O'Higgins. It could be a nervous 90 minutes for River Plate before they ensure that their inaugural Libertadores campaign proceeds into the group phase.